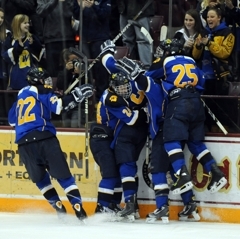 Wayzata had the better scoring chances. Eden Prairie had Kyle Rau. 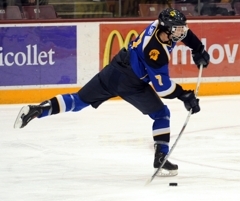 When a game extends deep into the night, when the scoreboard says double overtime, when a state tournament berth is on the line and a puck is loose in the slot, when bodies are flying and the front of the goal is sheer chaos, it is Rau who calmly calculates the angles and required trajectories. It’s what he has always done. 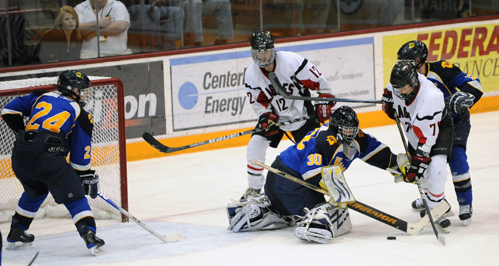 Rau’s winning goal came after he initially shot the puck off Wayzata goaltender Aaron Dingman’s right leg pad, then kicked the rebound off Dingman’s stick. Rau scooted into open ice with the puck, sliding it under Trojans defenseman D.J. Jones, who was camped in the crease. 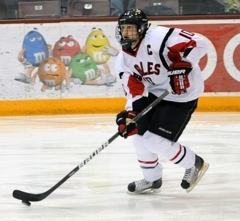 A University of Minnesota recruit who is one of 10 finalists for the Mr. Hockey award, Rau is one of 13 seniors on the Eden Prairie roster. 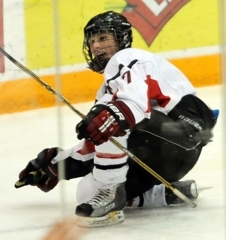 He has scored 36 goals in 28 games this season and has a team leading 74 points. 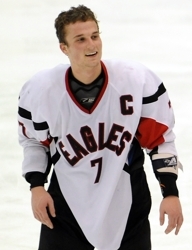 “He’s just in the right place at the right time,” Eden Prairie senior defenseman Dan Molenaar said about Rau. “Whether it is a rebound on net, whether it is back door, whether it is him taking it himself. 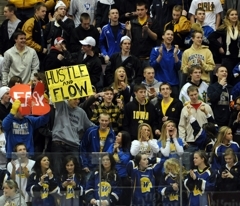 Wayzata, ranked No. 3 in Class 2A, went from playing three forward lines to two in the overtime periods, and the Trojans applied heavy pressure on most every shift. 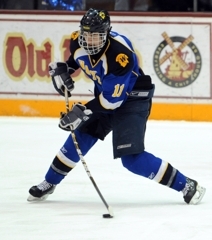 Junior Mario Lucia, who scored in the third period as Wayzata rallied from a 3-1 deficit, had at least three other chances to end the game. 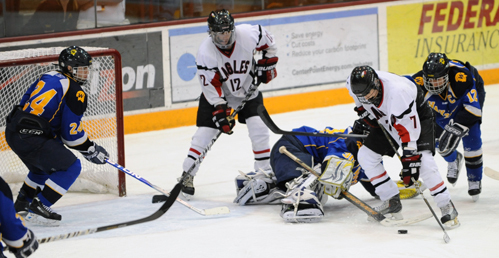 He twice missed the net with shots and Eden Prairie goaltender Andrew Ford made a glove save on another cannon Lucia wrist shot. Wayzata coach Carl Davis said he was happy with the play of his top two lines in the overtimes, but realized there was a danger in shortening his bench and forcing Eden Prairie to do the same. “I thought we had three or four Grade A chances in the last overtime,” Davis said. “We needed a goal, and we went with the guys who have been scoring for us all season. 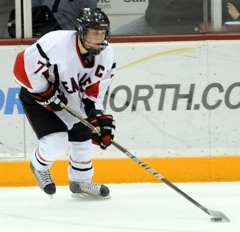 A key player as a sophomore on Eden Prairie’s state championship team two seasons ago, Rau said the team kept its collective cool despite Wayzata’s big comeback and abundance of prime scoring chances. So that’s what the Eagles did. Kept going. That it was Rau who put the finishes touches on the epic victory came as no surprise. The script was written, all he needed to do was play the role. 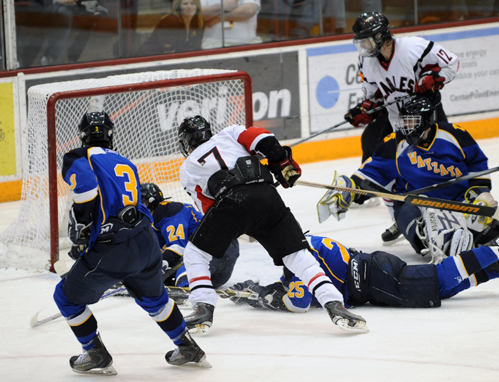 Eden Prairie senior Kyle Rau emerged from a pileup of players in front of the Wayzata goal with the puck, and he promptly deposited it underneath a sliding Trojans defenseman and into an empty net to lift the Eagles to a 4-3 double overtime triumph over Wayzata on Wednesday, March 2, in the Section 6AA championship at Mariucci Arena in Minneapolis. 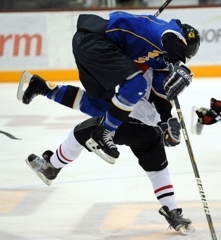 Rau, one of 10 finalists for the annual Mr. Hockey award and a University of Minnesota recruit, scored with 7:41 left in the 17-minute second overtime. The game started several minutes after its scheduled 8 p.m. face-off, ended around 11 p.m. and lasted 68 minutes, 19 seconds of elapsed time. 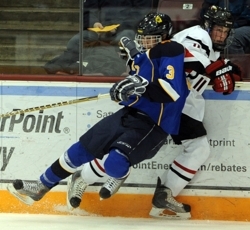 Junior Mario Lucia and senior Bryan Tabery scored in the third period as Wayzata (20-6-2), the section’s No. 2 seed, rallied from a 3-1 deficit to send the game into overtime. 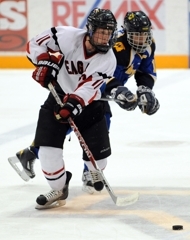 Seniors Dan Molenaar and Luc Gerdes scored in the second period as Eden Prairie (21-5-2), ranked No. 2 in in Class 2A, surged to a 2-0 lead over No. 3 Wayzata after a scoreless first. Senior Tyler Klein scored late in the first second period to pull the Trojans to within 2-1. 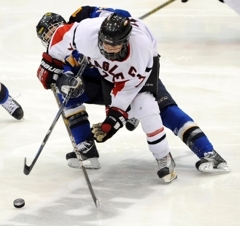 Sophomore Mason Bergh gave the Eagles their 3-1 lead with a goal 1:33 into the third period. 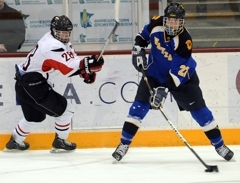 Wayzata had the better of the chances in the two overtimes, but couldn’t convert several prime scoring chances. 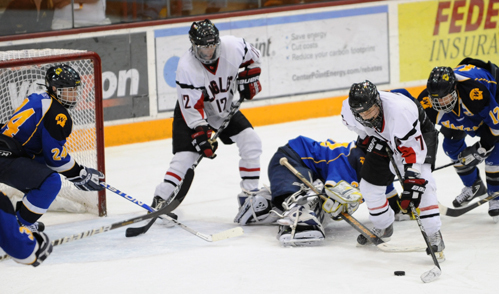 Eden Prairie senior Andrew Ford made 34 saves to earn the victory. 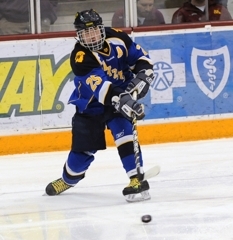 Wayzata sophomore Aaron Dingman made 29 saves. Who else? 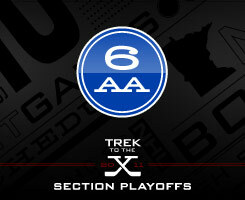 Score the winner in double overtime to clinch the championship of the state’s toughest section, and, yeah, that is a guaranteed first star no matter what else happened the rest of the game. 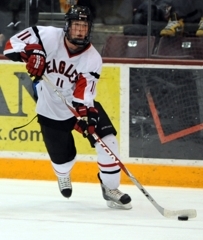 It just so happens that Rau, a senior Mr. Hockey finalist and University of Minnesota recruit, was his usual playmaking, puck-hawking self, creating scoring chance after scoring chance. Fastest player on the ice? How about fastest player in the state? 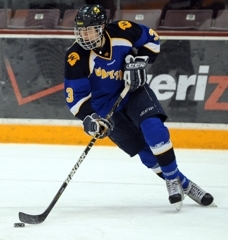 The senior Mr. Hockey finalist and Minnesota-Duluth recruit registered an assist and was the catalyst on Wayzata’s top line that created a dozen or so golden scoring chances. 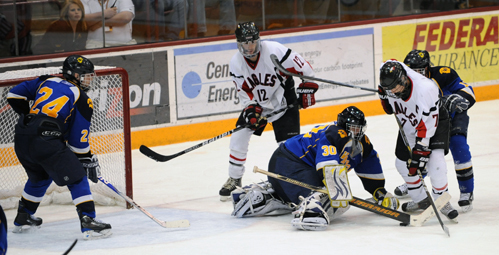 The senior defenseman was credited with a goal after a fluke play behind the Wayzata net ended with the puck in the Trojans’ goal, but it was Molenaar’s repeated up-ice rushes, savvy passing plays and body sacrificing blocked shots that made the game manageable for Eagles goaltender Andrew Ford.